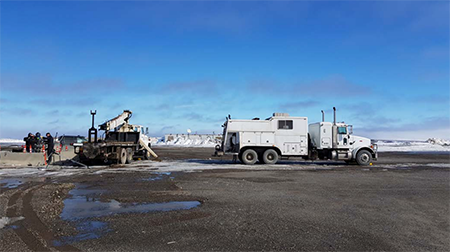 88 Energy Limited (ASX:88E) has provided an update for its projects on the North Slope of Alaska. Site clearance works have been completed at the Franklin Bluffs Pad ahead of flow testing of the Icewine#2 well that is on target to commence on the 11 June 2018. Memory gauges from 4,000’ downhole were successfully retrieved, while processing and analysis of the pressure build-up data will be completed by early next week. The wireline unit also “tagged bottom” confirming that there has been no build-up of debris in the tubing during the shut-in period. 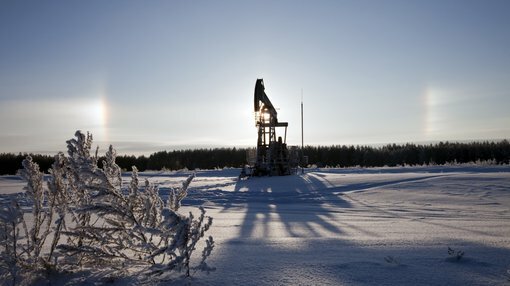 Pressure at the wellhead was measured as between just under 3,000 psi (from the wellhead gauge) and 3,500 psi based on a pressure reading of 5,200 psi at 4,000’ (from the downhole pressure gauges). These pressure readings are positive in regards to maintenance of downhole pressure, as expected. The flow testing program has been designed to utilize nitrogen lift to assist the removal of up to an additional 4,000 barrels of fluid from the HRZ reservoir. 88E expect this will enable the hydrocarbons in the reservoir to flow naturally to surface at a representative rate. Based on modelling of the reservoir pressure and fracture conductivity, this is estimated to take 10-14 days. The well will then continue to be flowed back to ascertain drawdown pressure and decline rate.